We’re The Mickey Dudes—guys talking about everything Disney. We’ll discuss theme parks, films, and the latest news related to The Walt Disney Company. 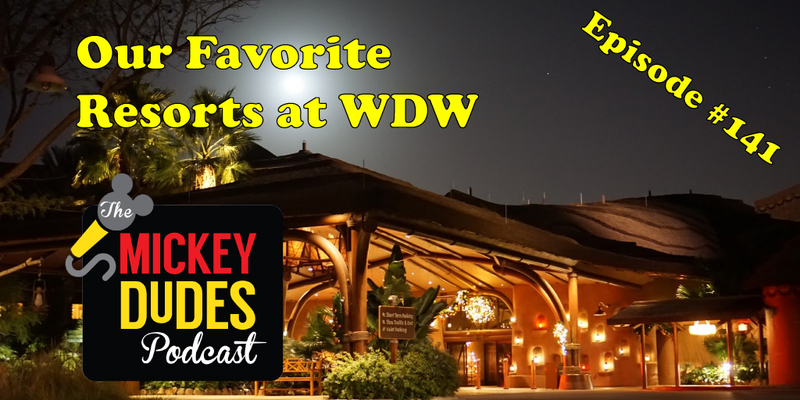 What is your favorite WDW Resort in each category? Today the Mickey Dudes name their favorites. That and we talk about a special giveaway we have planned. All this and Chuck on today’s Episode of The Mickey Dudes Podcast! Oh...and please rate us on iTunes!! Take The Mickey Dudes Podcast With You! Search for "The Mickey Dudes Podcast" to get all the latest episodes delivered to your mobile device. Copyright 2019, The Mickey Dudes Podcast. All rights reserved.